Stephen Greenblatt has 1 media appearance. Stephen Greenblatt discusses Will in the World: How Shakespeare Became Shakespeare. One of the world's most celebrated scholars, Greenblatt has crafted both an innovative work of history and a thrilling story of discovery, in which one manuscript, plucked from a thousand years of neglect, changed the course of human thought and made possible the world as we know it. The WORLD AFFAIRS COUNCIL BOOK CLUB will discuss The Swerve: How the World Became Modern by Stephen Greenblatt. MONDAY, April 22, 7PM All are welcome to join the discussion of Swerve by Stephen J. Greenblatt. Reading fiction to escape reality is a great way to unwind, but exploring reality can sometimes be even more rewarding. Meet Cindy and Merrilee the third Wednesday of every month where we’ll read books about fascinating people, places, and things. This month’s book is The Swerve by Stephen J Greenblatt. Jill Lepore is the David Woods Kemper '41 Professor of American History at Harvard University and a staff writer at The New Yorker. Her books include The Whites of Their Eyes: The Tea Party’s Revolution and the Battle Over American History, THE NAME OF WAR: King Philip’s War and the Origins of American Identity, and the novel Blindspot, co-authored with Jane Kamensky. 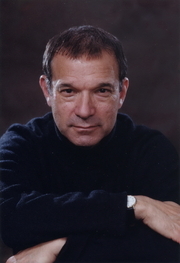 We’re honored to host the eminent Stephen Greenblatt for an evening of reading and discussion about his most recent book, The Swerve: How the World Became Modern, Winner of the 2011 National Book Award for Non-Fiction. Please join us for this very special event! One of the world’s most celebrated scholars has crafted both an innovative work of history and a thrilling story of discovery, in which one manuscript, plucked from a thousand years of neglect, changed the course of human thought and made possible the world as we know it. Nearly six hundred years ago, a short, genial, cannily alert man in his late thirties took a very old manuscript off a library shelf, saw with excitement what he had discovered, and ordered that it be copied. That book was the last surviving manuscript of an ancient Roman philosophical epic, On the Nature of Things, by Lucretius — a beautiful poem of the most dangerous ideas: that the universe functioned without the aid of gods, that religious fear was damaging to human life, and that matter was made up of very small particles in eternal motion, colliding and swerving in new directions. The copying and translation of this ancient book — the greatest discovery of the greatest book-hunter of his age — fueled the Renaissance, inspiring artists such as Botticelli and thinkers such as Giordano Bruno; shaped the thought of Galileo and Freud, Darwin and Einstein; and had a revolutionary influence on writers such as Montaigne and Shakespeare and even Thomas Jefferson. Stephen Greenblatt is Cogan University Professor of the Humanities at Harvard University. He is the general editor of The Norton Shakespeare and the author of eleven books, including Will in the World; Shakespeare’s Freedom; How Shakespeare Became Shakespeare; Hamlet in Purgatory; Practicing New Historicism; Marvelous Possessions: The Wonder of the New World; and Learning to Curse: Essays in Early Modern Culture. His honors include the MLA’s James Russell Lowell Prize, the Distinguished Humanist Award from the Mellon Foundation, the Wilbur Cross Medal from the Yale University Graduate School, the William Shakespeare Award for Classical Theatre, the Erasmus Institute Prize, two Guggenheim Fellowships, and the Distinguished Teaching Award from the University of California, Berkeley. He was president of the Modern Language Association of America and is a fellow of the American Academy of Arts and Sciences, the American Philosophical Society, and the American Academy of Arts and Letters. Greenblatt parla del suo ultimo libro "Il manoscritto"
Stephen Greenblatt is currently considered a "single author." If one or more works are by a distinct, homonymous authors, go ahead and split the author. Stephen Greenblatt is composed of 12 names. You can examine and separate out names.